Hello dear friends! Like much of the rest of the country my little corner of the world has been quite cold. 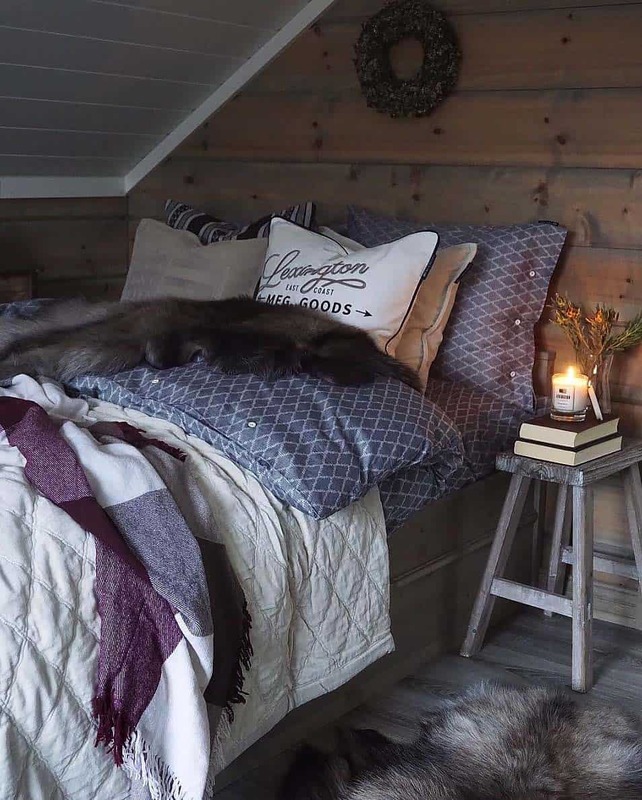 This has me snuggling up and thinking of ways to add a just a few things I already have on hand to create Cozy Winter Bedrooms here at Storybook Cottage. A down-filled duvet is already in place in our master bedroom as is a cute and cozy dog. Only a fireplace is missing. But I think the addition of some fairy lights and candles can provide a similar ambiance. A nice chunky throw and fur pillows also amp up the snug. The Victorians left their seasonal greenery up through February. The bit of green with its promise of life can get one through the darkest days of winter. While calm neutrals are often the ticket to dream town a bit of color can also warm up a room. 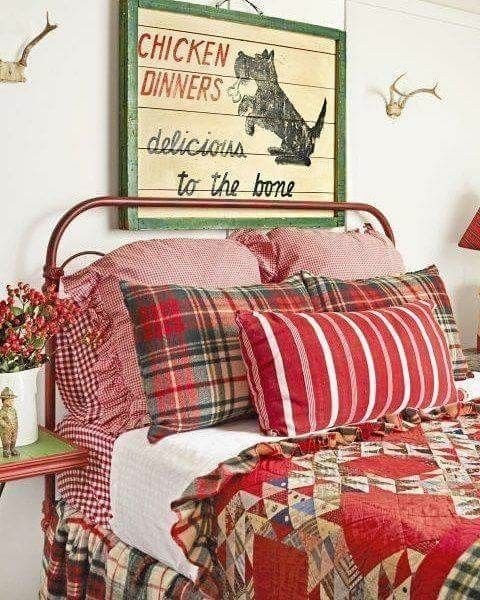 The red and white checked blanket adds so much with just a small touch. Cozy quilts? Yes, please! As we move into Valentine’s day decor the red is perfect. Flannel sheets seem like a no-brainer. I’m also wondering how I can add some snowflakes to my textured walls. I’m thinking hand cut felt. I’ll get back with you on that. This is quite possibly an image from 1983. Or it could have been taken yesterday. 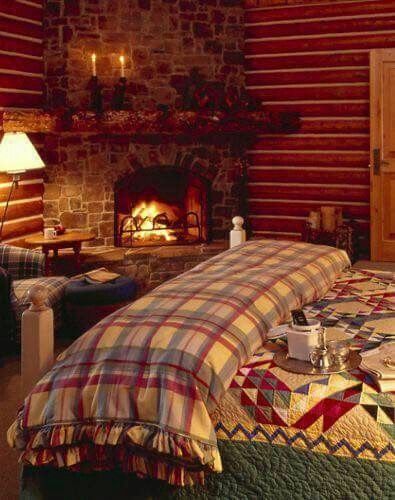 But the combination of the plaid, quilt, and warmth of the fire create cozy quarters that are truly timeless. Wondering if ticking, floral and plaid can all work together to create cozy? They totally can. Many of the looks shown here today can be accomplished by a visit to a thrift store or HomeGoods. This is a truly cozy look I love. I have similar sheets, a quilt, and a red lumbar pillow. I just need two plaid pillowcases. Perhaps the after Christmas sales can help me create it. 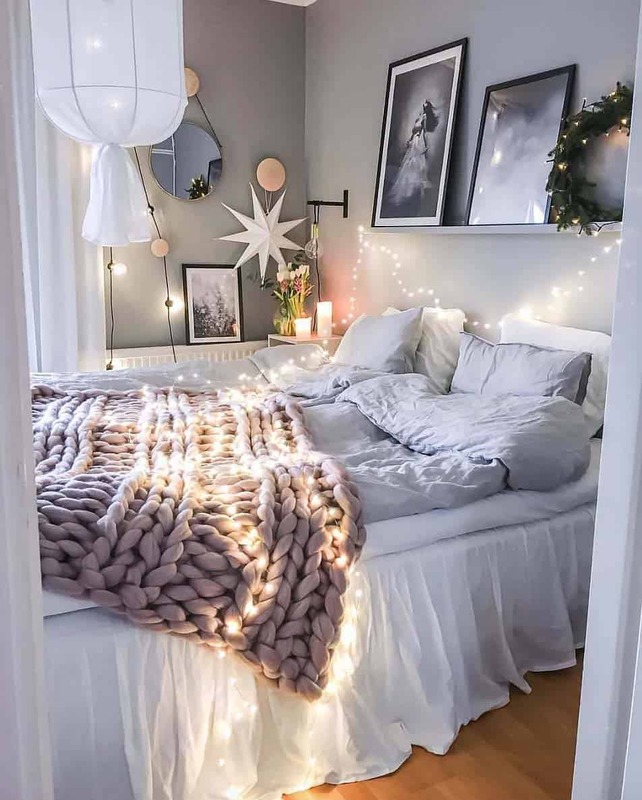 Do you like a cozy winter bedroom? Lots of great ideas indeed. I left my ‘winter’ themed throws and pillows on the bed as well as some of the decor items that were just ‘snow’ related. I don’t like winter at all BUT I do like creating a cozy space INSIDE. I love your ideas for a cozy bedroom for this cold winter we are having. I see several things that have inspired me to cozy up my bedroom space. Thanks so much for the awesome inspiration and have a great week! oh so comfy.. i wish we were a hibernating species.. just snuggle and read all day long. There was not one of those bedrooms that I would not love. Can you imagine having that bed near a body of water? I think your idea of felt stars is excellent. My bed is like a big pouf with feather blankets. Heavenly. Fabulous images my friend. One of the things I would really love to add to our bedroom is a bookcase filled to the brim with books. 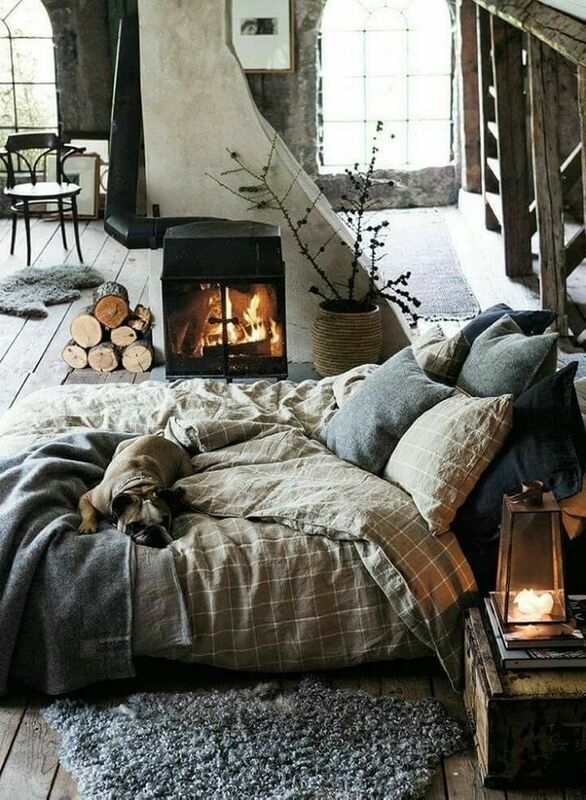 So much fun and cozy inspiration. Keep warm, Sweet Laura. Happy New Year to you. I hope the repairs are coming along. All great ideas! 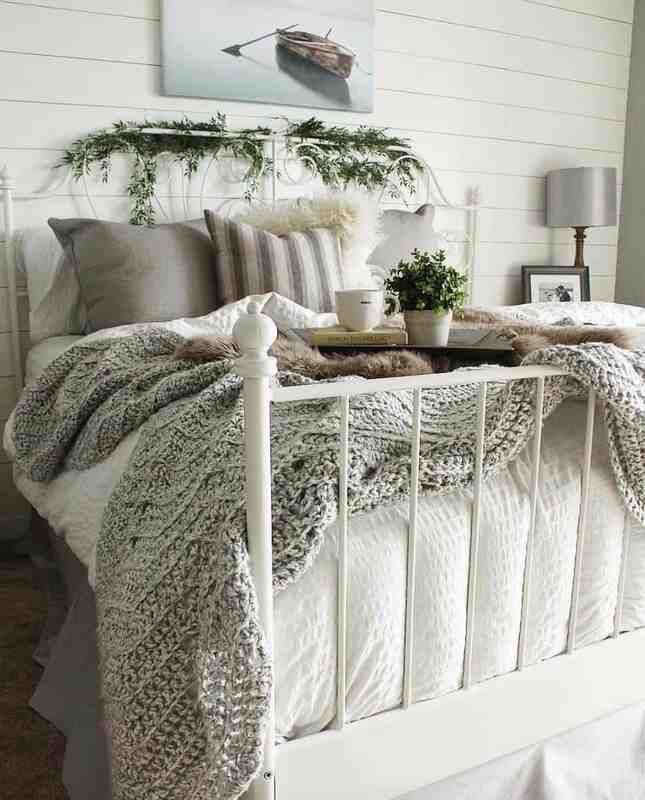 Yes, a cozy bedroom for winter is a must. I have the duvet, chunky throw, red touches , flannel sheets and some greenery. I would love a faux fireplace in my room since I dint have a real one. Perhaps I will attempt to make one! Thanks for the inspiration! i need to go back to bed! love these. Yes indeed those are cozy!! I need to buy new bedding like a hole in the head but when I see this I have a big sigh and go — well, maybe, just a little~! Lovely rooms! We are renovating our bedroom again. It was started a couple years ago and then once it was done enough to start putting furniture back we sort of lost steam since there were so many other things that needed attention. Now we have new built in cabinets going in soon and I am getting the urge to give it a new look. Oh the possibilities! I love that bedroom with the fireplace! With the record lows we’ve been having in the Houston area I could use that right about now! Laura, I love the mixture of ticking, floral, and plaids! Cozy bedrooms are definitely on my mind for winter. Thanks for sharing with SYC. 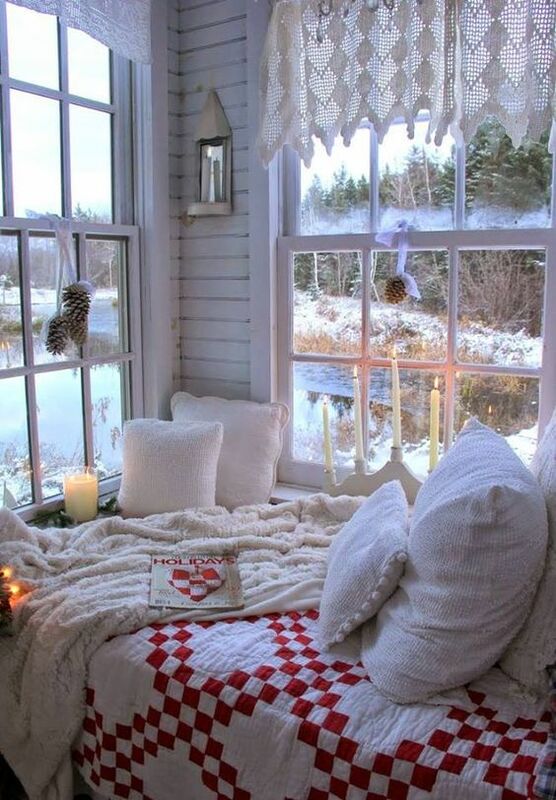 I love all of these cozy ideas. They really make you want to snuggle in bed with a good book and a cup of hot chocolate! Oh they do look warm and cozy….I am typing before I leave for work and they are making me want to climb back into my own bed on this cold winter’s morning. These are all so gorgeous I could easy see myself trying out each bedroom. One each night. The rooms with a touch of red really add to the cozy factor. Wow! What a gorgeous post! Thanks for sharing for TFT! They’re all so beautiful Laura Just makes me want to grab one of our purr babies and snuggle up with a good book. Lots of wonderful ideas here. I did a guest bedroom with a cozy cabin feel. 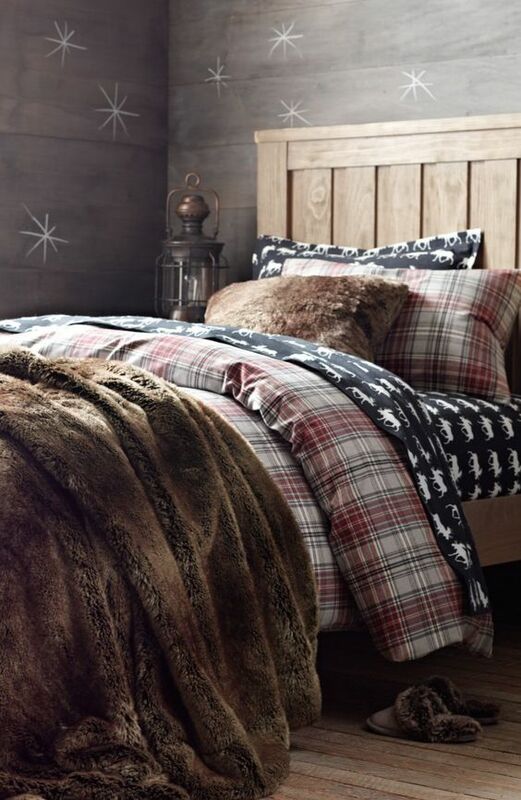 I like those flannel moose sheets. That would be a great addition to my room. Each bedroom is totally enchanting. I think my fave is the one with the red and white quilt in the bedroom with windows on 2 sides and a snowy view outside. But then again, I like them all. Love the red plaids, and that beautiful chunky throw. If this is your house, you did good with decorating it! Oh my goodness, they are all my favorite. 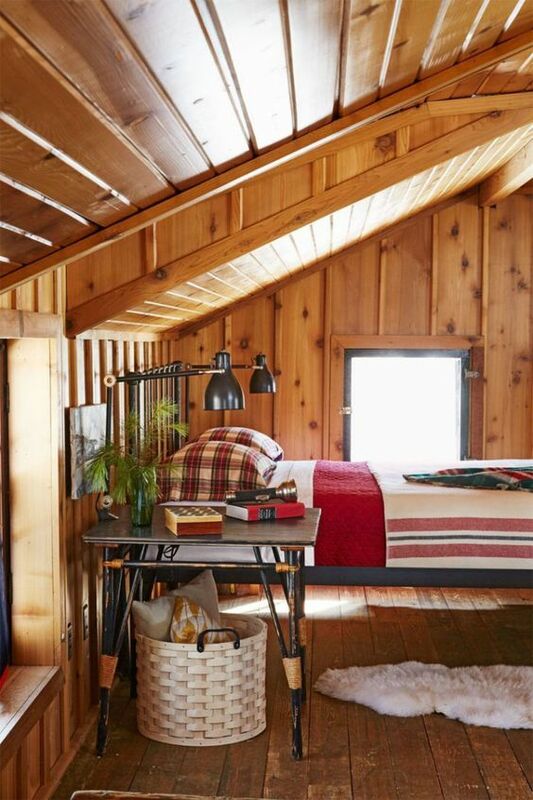 There is something to love about each cozy bedroom. Love all of the textures and patterns, especially the plaids. So perfect for winter. Would love to snuggle up and stay warm in each. Nice collection of ideas, thanks for gathering these, actually love them all.